Home / Lifestyle / New Year's Resolutions: Did you meet your goal, or do you have more work to do? 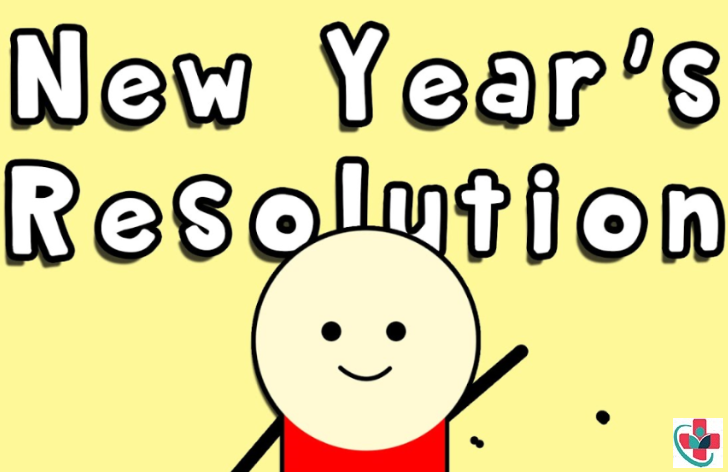 New Year's Resolutions: Did you meet your goal, or do you have more work to do? For the first few months of 2018, I stuck with my goal of meditating regularly in order to feel less stressed. I think it worked so well that I stopped meditating! But then, like 80% of women going through perimenopause, hot flashes started waking me up at night. So, in October, I began meditating again with my app during lunchtime. While there isn’t hard evidence that meditation helps with hot flashes, it does help me feel less stressed when hot flashes happen. Life is always going to be stressful. I’m hopeful that meditation will help me react in a way that’s healthier. I wanted to invest in my mental health by doing more things that make me smile — and wow! I’m taking cooking and Spanish classes, and they have been so much fun! I even managed a beach vacation and a short visit with my family this year. I can feel the difference in my stress levels, and my friends have noticed, too. Of course, things still come up, but now I am more aware of when it’s time for me to take a break. That’s growth, and it feels great. My goal for 2018 was to move forward with knee replacement surgery. I have not yet accomplished that goal, but I am working toward preparing my body for it. My legs need to be stronger and my body lighter before I can proceed. To that end, I am increasing my activity level and keeping an eye on what I eat with plans to achieve my goal in 2019. I am firmly in the “work in progress” camp. I wanted to eat healthier and exercise more, and I’m happy to report that I am still eating plant-based foods and feeling good. I did increase my physical activity, but that is an area that I haven’t been prioritizing recently. I plan to work on getting more exercise again this year. At this time last year, I was using a vegetable delivery service, and while I’m no longer doing that, I still eat a lot of fruits and vegetables regularly and feel very healthy. I made a 2018 resolution? I seriously forgot that I wanted to work on my flexibility! Realizing that I could forget so easily was an "aha" moment for me. Simply saying I’m going to do something may not work for me. So for 2019, I resolve to take my stretching routine commitment further by creating a schedule and keeping it at home where I can see it. I know I love to check the box when I’ve completed something on my to-do list, so I plan to treat my stretching schedule as a to-do item. I’m hopeful that this approach will work better for me. Wish me luck! Now it’s your turn! Think about your resolution and whether you met your goal. If there’s room for improvement, remember that we’re all a work in progress and health is a journey. Being honest — and patient — with yourself is a great first step. It can help you come up with new ideas and solutions to help you meet your goal in 2019.